The effectiveness of The Fuller Center for Housing’s ministry has little to do with construction materials, but it has everything to do with its people. 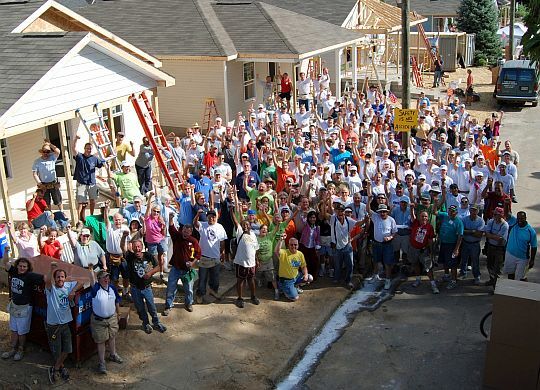 Volunteers, financial supporters, building partners, local covenant partner leaders, homeowner partners and friends — they all help determine our success as we strive toward the goal of helping everyone in need have simple, decent places to live. Whether you have volunteered on a dozen Global Builders trips or only recently heard of The Fuller Center for Housing or fall anywhere in between, you have a role to play in helping to steer our ministry. And one of the most important roles you can play is to advise us on how we’re doing. Regardless of your current involvement level in our ministry, we would greatly appreciate your input and invite you to participate in a brief online survey. Let us know what you like about the ministry, where you think we can improve and how you would prefer that we communicate with you. Again, thank you for being part of our housing ministry and putting faith into action!